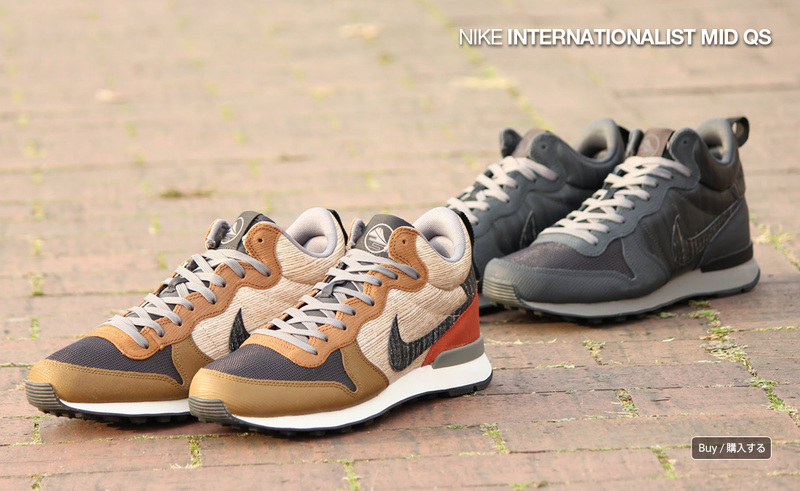 A cryptic new set of quickstrikes for the Nike Internationalist Mid. 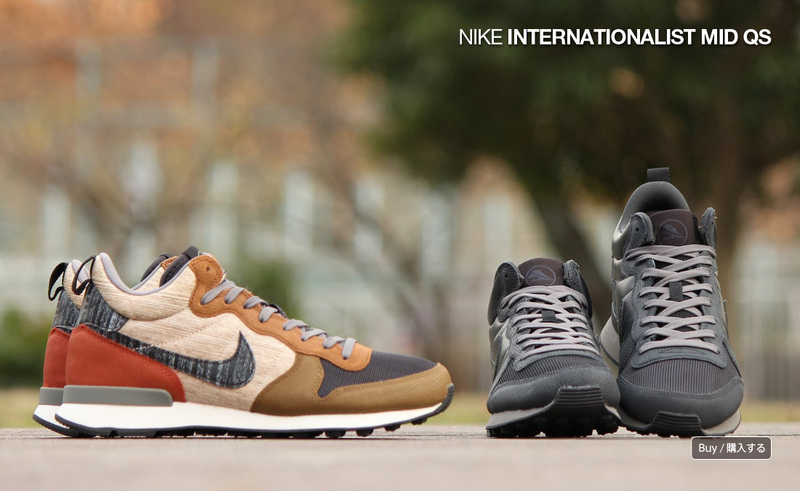 The Nike Internationalist line has some more Japanese flavors on the way. 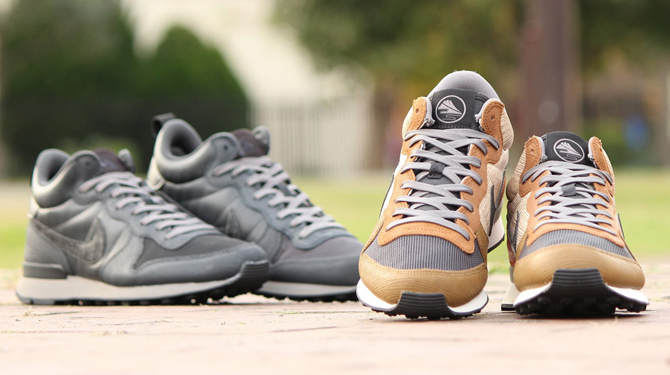 Following up on the SOPHNET Lunar project are these shoes are apparently inspired by that nation's ekiden races. It seems that the woodgrain graphics are a distance reference to the stagecoaches that relay communications between different stages of the race. and the tongue tags also have graphics that depics a path, furthering the race theme here. 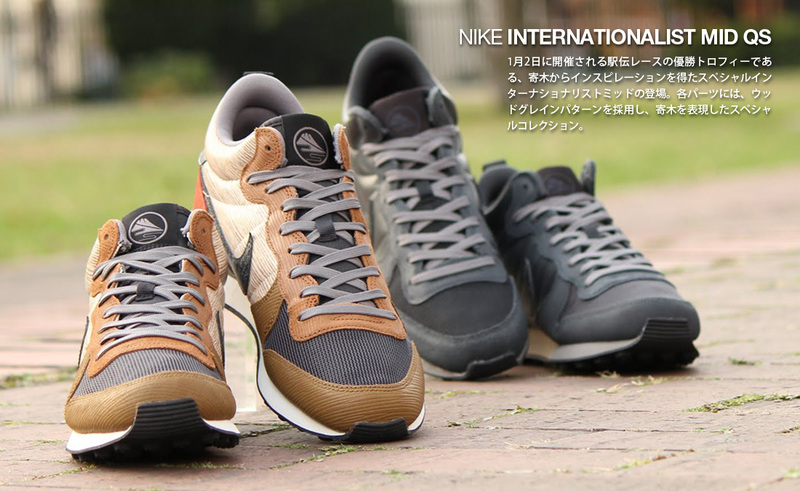 There's not any news yet of this Internatioanlist Mid duo hitting in the U.S., but the shoes have already released in Japan via shops like atmos.